The point of the Wii U is that it has a fancy, touch-screen controller. That may not be suitable for all titles, though. Especially ones being ported from other consoles. 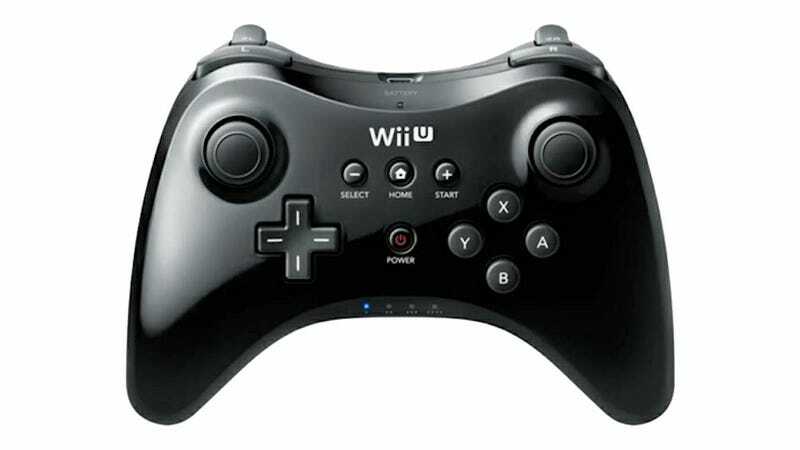 For that, much like the Wii, the Wii U will have a Pro Controller, one that you could say resembles the pads of one of Nintendo's competitors. Also of note: check out those sticks. Or, more pointedly, check out the circular housing they're sitting in. From the N64 to the Wii, Nintendo has preferred to keep things octagonal as far as its joystick movement extremities went. It was handy for some games, but for others, a giant pain. That's a thing of the past, as both the Wii U Gamepad and this Pro Controller both have a circular housing, which should allow for a more precise range of movement.